LANSING, Mich. — Flint's water system no longer has levels of lead exceeding the federal limit, a key finding that Michigan state environmental officials said Tuesday is good news for a city whose 100,000 residents have been grappling with the man-made water crisis. The 90th percentile of lead concentrations in Flint was 12 parts per billion from July through December — below the "action level" of 15 ppb, according to a letter from the Michigan Department of Environmental Quality to Flint's mayor. It was 20 ppb in the prior six-month period. Based on the sample of 368 residential sites, Flint's lead levels are again comparable to other similarly sized U.S. cities with older infrastructure, state officials told The Associated Press ahead of an official announcement. 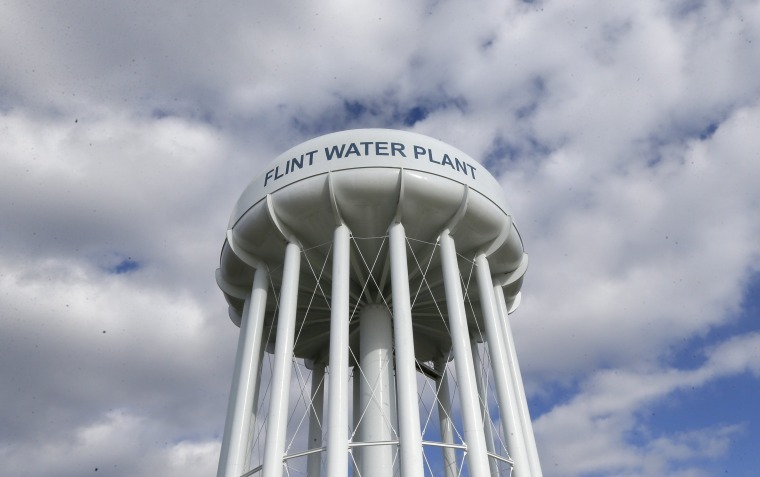 Tuesday's announcement drew immediate skepticism from some Flint residents. Melissa Mays said it "means nothing. There's still lead in the system." "Especially with disruptions, main breaks — pieces of lead scale will be breaking off until these pipes are replaced," Mays said. "You cannot tell me the water is safe because you have not tested every home." Though the requirement may be discontinued if the water supply is at or below the limit in the next monitoring period, the state said it would continue supporting Flint's plan to replace more pipes. The state set aside $27 million for the project as part of the nearly $300 million that has been allocated toward the crisis, including for bottled water, filters and legal bills. Tuesday's announcement means the state will soon stop providing a credit on customers' bills. It has been partially covering their bills dating to April 2014. Starting in March, the state also plans to no longer pay for Flint's water, which comes from a Detroit-area system. The state has been the costs since October 2015.